Mushrooms are a true super food. They are chock full of B vitamins, potassium, copper, zinc, selenium, and a slew of other important nutrients. The real reason to love mushrooms so much though is because they have a fabulous texture — which is why a grilled portabella mushroom can rival a steak any day. But did you ever wonder why mushrooms have such a meaty texture? It turns out that the texture is from a substance called chitin – the same substance which is found in the shells of crustaceans and insects! Mushrooms contain the same substance in their cell walls as these shrimp! We tend to group mushrooms with vegetables. But, aside from having a root, mushrooms have little in common with vegetables. Mushrooms do not synthesize their own food (which is why they are not green from chlorophyll). Instead, they live on their food source – like a pile of compost or a tree. 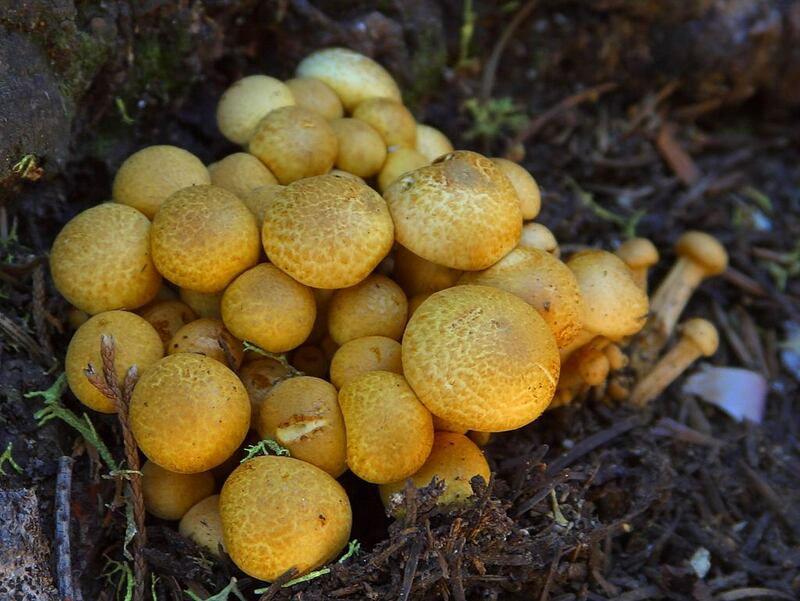 Mushrooms also differ from plants in that they reproduce by spores instead of seeds or pollen. The final important difference between mushrooms and vegetables is that their cells do not contain cellulose. Instead, they contain chitin – the material responsible for their “meaty” texture. Because of these differences, mushrooms are classified into a completely different biological kingdom than vegetables: Fungi. Man has found many uses for chitin. Because it is strong and breaks down naturally, it is used in medicine as surgical thread. Because it absorbs water, it is often found in products like sponges and tampons. The chitin used for these purposes is typically derived from crustaceans, which is why your tampon may not be vegetarian! Also, vegetarians should be on the lookout for chitin in manufactured foods, as it is often used as a thickener. Chitin first got my attention a year ago when I saw a thread at a weight-loss forum about taking crab-shell supplements to block fat. The idea of eating crab shells to lose weight seemed really far-fetched (even for the weight-loss industry), but it turns out that the claim does have some truth to it. Chitosan is a sugar (i.e. carbohydrate) which is derived from chitin. There is some evidence that chitosan is a fat blocker. When a person consumes chitosan, the chitosan binds to fats in the food which was eaten. Since chitosan is insoluble (i.e. indigestible), the chitosan and the fat pass through the body. Because less fat is absorbed, there is also the added benefit of reducing cholesterol. Do keep in mind that there is only limited evidence that chitosan has weight-loss and cholesterol-lowering benefits. And these benefits are negligible! You aren’t going to drop 20 pounds and get your cholesterol in check just by taking chitosan supplements! Any chitosan supplements that you find are most likely to come from crustaceans, so they won’t be vegetarian. But the cool fat-blocking and cholesterol-reducing properties of chitosan are just one more reason for vegetarians to eat more mushrooms. Since more than 1/3 of the US population is obese, promoting the weight-loss benefits of chitin in mushrooms may help win over some more vegetarian converts too!